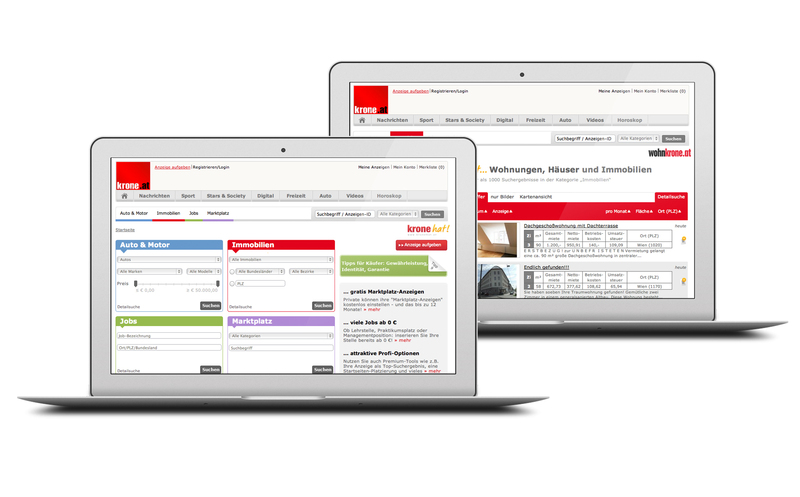 For the Kronen Zeitung, one of the largest daily newspapers in Austria, WDM responsible for the technical implementation of the website for classified ads. Content management system, technical system maintenance and creation of payment links were in the area of ​​responsibility. In addition, the technical performance specifications, integration of different user interfaces, applications and maintenance of a multi-server system included.